Experience full theater sound at your home with a Sonos Playbar! While televisions have improved drastically over the years visually, their sound has not. Sonos Playbar is the solution. The Playbar balances the HD television screen with a richly textured HiFi sound, and allows you to wirelessly stream music from anywhere on earth! The Playbar has a simple setup, and it is easily controlled from the free App using your tablet or smartphone. Sonos allows you to expand your future needs by adding as many different Sonos speakers to your set up as needed throughout your home. 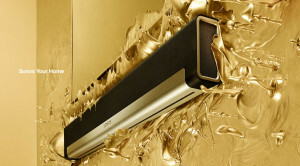 The sleek and stylish Playbar uses a cutting-edge 9 speaker design. Anything connected to your HDTV will be played through the Sonos Playbar. For example, cable/SAT boxes, Blu-Ray players, and video game consoles. The Dolby Digital compatible Playbar can be mounted horizontally above or below the TV, or it can also be placed flat on a TV stand. Experience invigorating theater sound while watching your favorite movie, and enjoy streaming music from any of your preferred music services through television on your Sonos Playbar. 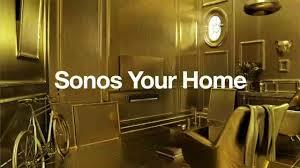 Moseley Electronics is offering FREE Installation on a basic Sonos set up for any new Sonos account that is purchased and activated through us by the end of December 2014. This is a great present for any homeowner! Make sure you don’t miss this special offer, call today at (804)379-1348 or click here and schedule your appointment.